Located just a skip away from the beaches of Nai Thon, Malaiwana Penthouse enjoys a prime seafront location and incredible ocean vistas. 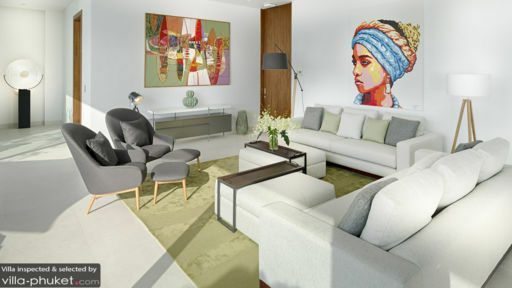 With four bedrooms (a media room may be converted to a fifth bedroom), the penthouse is ideally set up for large travelling parties seeking tranquility and impeccable service. Eight guests are comfortably accommodated in four bedrooms, and an additional bedroom may be converted out of the media room if required. Each room features a double bed, accent chair, wardrobes and air conditioners, and along with additional touches - like block out curtains and quality linen - that facilitate uninterrupted rest. The attached en suite is impeccably furnished, featuring a white and off-white interior, bathtub, twin vanity, accent chairs and dressing area. With an infinity pool, outdoor lounge and al fresco dining area that looks out to the ocean, it’s no surprise the the outdoor compound at Malaiwana Penthouse is the focal point for relaxation. The glittering pool, stretching over a length of 20 metres offers ample space for accommodating the entire party. Sip a sundowner while relaxing upon a recliner or at an outdoor lounge set under a pergola. The poolside dining set is where guests dine with magnificent sunset views. Malaiwana Penthouse’s design takes full advantage of its picture-perfect surroundings and ultra-luxe amenities - the living spaces wrap around the infinity pool, and glass sliding doors flanking the front of the home bring the stunning coastal landscape in. A neutral colour scheme and minimalist furnishings lend a sense of spaciousness in the common area, which features a lounge, dining area and breakfast bar. A team of trained full-time staff ensures that each and every guest at Malaiwana Penthouse enjoys immaculate service. An English-speaking villa manager offers ready assistance for all your holiday needs, and a Thai chef helps facilitate mouthwatering in-house dining experiences. The pristine coasts of Nai Thon are just three minutes’ drive away. The vibes here are laidback and tranquil - a far cry away from the more popular beaches of Phuket. The coast is great for sunbathing and swimming, as well as water sports like stand up paddling and snorkeling. 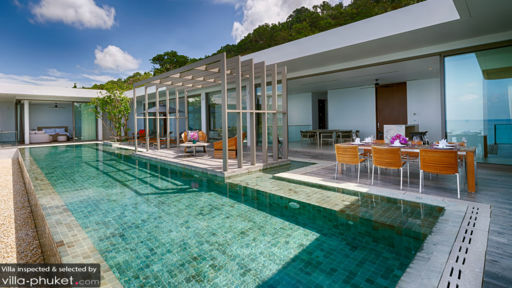 Street food vendors and eateries fronting the coast are great for grabbing a quick bite, while venues like Trisara (seven minutes’ drive) and Anantara Layan Phuket (11 minutes’ drive) offer an elegant dining experience. 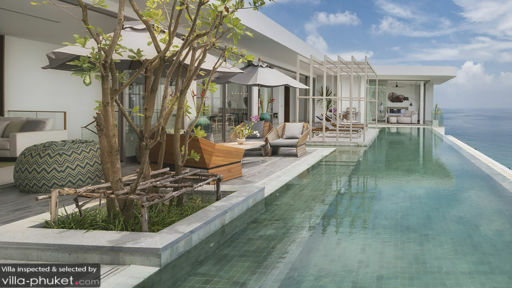 When you’re not lounging at the beach, try out wakeboarding at Anthem Wake Park, golfing at Laguna Phuket, horseback riding at Phuket International Riding Club or a spa ritual at Banyan Tree Spa Sanctuary.